It’s been a very long time since Tottenham can claim that they came to Stamford Bridge and recorded a victory, namely since 1990. It’s been so long ago that the last two goal scorers in a Tottenham win away at Chelsea were David Howells and Gary Lineker. Spurs will try to end that streak of home dominance by the Blues early Saturday evening as they look to take a victory that they very much need in the race for Champions League positions. This fixture has less emotion tied to it since Spurs sacked Andre Villas-Boas in December. Earlier in the season, it was a showdown of master and pupil with neither one coming out on top in a 1-1 draw. The tenor of this match is much different given the points that are at stake in relation to the league table. Spurs are in dire need of a victory to keep pace with the top four. With Liverpool becoming increasingly confident and dangerous and Arsenal maintaining their form (loss to Stoke aside), the gap between fourth and fifth place in the league has widened to 5 points, which at this stage of the season is significant. Spurs must continue to avoid slip-ups like the one at Norwich, but they also have to rely on teams ahead of them to drop points. In their favor is the fact that they have the best away record in the Premier League this season, but on the flip side, there’s the whole 1990 hoodoo hanging over their visit to the Bridge. Like Spurs, points are at a premium for Chelsea, especially since they’re at home. 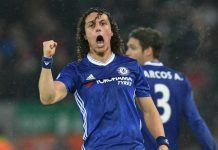 Jose Mourinho’s return has brought back the aura of Fortress Stamford Bridge, where the Blues have lost just once this season in all competitions, and that was to FC Basel back in September. 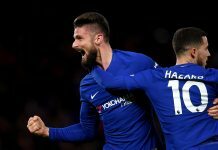 More recently, Chelsea have only been defeated once since their December loss to Stoke City and are sitting 4 points clear at the top of the table. A win over Tottenham could open the gap 7 points over Arsenal and Liverpool, who are neither in action due Arsenal playing in the FA Cup and Liverpool’s match with Sunderland being re-arranged for the same reason, and 9 points to Manchester City, who are also in FA Cup action and will have three games in hand. While Chelsea will not control their own destiny with City’s potential to close the gap, it will pile massive pressure on their title contenders knowing that they cannot drop points. WWTSD – What Will Tim Sherwood Do? After the sacking of Villas-Boas, Tim Sherwood was named manager on a two-year contract and has changed the fortunes and attitude of this team. While the goal differential is still rather worrying, Sherwood has restored a bit of confidence and swagger to a side that seemed to be losing it under Villas-Boas. While Sherwood’s a good man manager, the real question will be, how does he set his side out to play? This is a weekly conundrum, one highlighted by Mourinho in his press conference when he said he didn’t know what Spurs would do. “Tactics Tim,” as he’s been called, has taken an approach that seems to be based on his opposition that week but is sometimes right and sometimes wrong. For instance, against Newcastle, he made the right call in playing three men in the midfield with Moussa Dembele as a midfielder on the right to combat the fact that Newcastle are short in quality in the center of the park, particularly in creative talent and generally use forwards in wide areas. He was rewarded in that match with a 4-0 victory at St. James Park. However, against Arsenal in the FA Cup, he elected to partner Emmanuel Adebayor and Roberto Soldado to try and get behind the Arsenal defence but left himself with just two in the center of the park with Aaron Lennon and Christian Eriksen in the wide areas to combat the strong five in midfield of the Gunners. He’s had a tendency to play either system, depending on the needs of the match, and that’s where the questions begin to be asked. He does need a win if he wants to keep pace with the top four and give Spurs a shot to make Champions League. However, he has to know that Chelsea will set out with three behind a striker and two anchors behind. So, does he try and attack with two up front and risk being overrun in midfield, as the Blues showed they can do against City, or does he play a bit more conservative with one up front and risk not having the firepower to score enough goals? When the team sheets come out, we’ll know for sure, but it is a very tough ask to try and get in his mind tactically. Adebayor might be one of the most polarizing figures in football in recent years. While he doesn’t get the press from his exploits off the pitch like some do, his press comes from his moments on the pitch that range from extremely motivated to angry and motivated to not interested at all. That has been the story of his career to this point, despite the fact that he is a very talented footballer. It’s perhaps for those reasons that Villas-Boas decided to make him his new exile (as he seems to do at every club) and banish him to the reserves, never to be named in a squad. With Villas-Boas gone, Sherwood has restored Adebayor to the side, put an arm around him, and is getting the best from Adebayor since his first season at Manchester City. It’s interesting because it came at a time when they desperately needed goal scorers. Soldado’s move from Valencia is looking more and more like a panic buy, considering that he just scored his first goal from open play last week since October and is being overshadowed by the other Spanish striker, Alvaro Negredo. Adebayor has settled that situation by scoring goals from nothing when it’s been needed, particularly given that there isn’t a whole lot of creativity in that midfield. Adebayor’s always had a minor comparison to Didier Drogba, I think, because of his size and ability to play. However, I’ve always thought of him as slightly different in that he’s good with the ball at his feet and in the air, but he doesn’t quite have the strength or little turn of acceleration that Drogba had. Regardless, he will start and he will have to be accounted for as a possible match winner. This might be the Achilles heel for Spurs this season. Their defensive record is good, having only conceded 33 goals this season, 2 better than second-placed Liverpool, but they’ve also scored just 37, which is tied with Newcastle for the worst amongst the top nine teams in the league. One of the main problems is that there’s an inherent lack of creativity in the side. Aside from Christian Eriksen, none of Paulinho, Dembele, Etienne Capoue, or Nabil Bentaleb can be considered “creative” types in midfield. In addition, the wingers haven’t been as reliable, with Andros Townsend just returning from injury, Aaron Lennon’s deliveries being continuously erratic, and Nacer Chadli and Erik Lamela looking more and more out of place in English football. The bottom line is that in this season, Spurs have only won two games when the opposition scores 2 or more goals, one was on penalties to Hull in the League Cup and the other was to Southampton in December. Generally speaking, that shows some of the creative problems they have in their midfield in terms of creating chances, especially when the opposition can score. Just look at the match against Norwich to see their tendency in not creating chances. They managed just 2 shots on goal despite having 60% of the possession. They must improve in that area if they expect to get points at Stamford Bridge. Spurs back line is still vulnerable. One of the benefits to the sacking of Villas-Boas was the removal of his philosophy of playing a high line. Just as John Terry wasn’t suited to playing that style, Michael Dawson may have been even worse at doing so, and a return to a deeper line has made them harder to beat. However, the one weakness of that back line in both Jan Vertonghen and Dawson is their difficulty in dealing with players running at them with the ball. As team defenders, they complement each other well. As one-on-one defenders, neither is particularly convincing. In the first meeting, a revitalized Fernando Torres gave Vertonghen all he could handle by running at him for the bulk of the second half before getting sent off. Arsenal and City both found great success in running at the back line in transitions to create chances. In Chelsea, they’re facing probably one of the best counterattacking sides in Europe and one of the best with the ball at his feet in Eden Hazard. It may be for this reason that Sherwood eschews two up front to protect that back four, but even that proved to be ineffective in the second half of the first meeting. Let’s see if Torres is still miffed about the Vertonghen incidents. Oscar, Oscar, where art thou? The one concerning thing of late about Chelsea is the massive drop-off in form of Oscar, who was arguably the best player in the first half of the season. While Hazard has stepped up and taken his play to another level, Oscar has had a difficult couple of months and hasn’t looked very effective at all. Mourinho cites a few niggling injuries and the physical toll that he’s suffered this season, and that could very well be the case, given the style of play that Mourinho asks for is very reliant on physical characteristics, but it is a concern, especially since the Blues have found it hard to create chances as of late. At the moment, Chelsea have almost become overly reliant on Hazard to create chances, and while he’s been the most dangerous player, in matches where he hasn’t been able to influence the play, Chelsea have looked rather mediocre. A return to form of Oscar would be a welcome sight and take some of the burden from Hazard. Given that Oscar scored a wonderful goal midweek for Brazil, let’s hope that pushes him forward to get back to his best. Previous articleWill Hazard shine at the World Cup?